Watch this video to see what we have going on at the Atlanta Real Estate Investors Alliance for December 1st through 11th. Be sure to attend our upcoming Atlanta REIA Main Monthly Meeting on December 6th at the Doubletree Hotel in Roswell Georgia at 5:30 PM. Dave Lindahl, owner of over 7200 commercial units, will be speaking about how to successfully invest in commercial real estate and make a fortune in today’s real estate market. Afterwards, we will be having a Christmas Party with music, a cash bar and hors d’oeuvres. Come eat, drink, learn, network and have fun with us! I just wanted to remind you that if you have been waiting for the right time to join Atlanta REIA as a card carrying, charter member, today is a great time to do so! 1) Join Atlanta REIA Today & Attend Our Saturday Workshop at No Charge! If you join today (November 19th, 2010) as an individual member or business member for as little as $100 to $150, you not only get all of our regular Atlanta REIA Membership benefits, but you can also attend John Maurer’s “Setting Up a Georgia Corporation the Right Way Workshop” tomorrow, Saturday, November 20th at 9AM at no additional charge (a $50 value). 2) Join Atlanta REIA as a Business Member and Save $200 Off Gold Membership! That’s right, any business who joins Atlanta REIA today only as a Silver Business Member for $150 will automatically be upgraded to an Atlanta REIA Gold Charter Business Member ($350 value) for no additional charge! This is another $200 savings for joining today and today only. 3) Join Atlanta REIA Today & National REIA Member Benefits As Well! Atlanta REIA just became a member of the National Real Estate Investors Association. This means you will be getting additional member benefits from National REIA over and beyond Atlanta REIA’s normal member benefits for joining today. Stay tuned for more details. 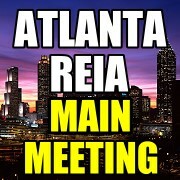 4) Get Paid Up To $150 to Refer Atlanta REIA New Members! Just so you know, Atlanta Charter Members will get additional member benefits for life that other regular members who join later will not receive. Right now, Charter Members can become Atlanta REIA Ambassadors and receive up to $150 for every new member referred to Atlanta REIA during our Charter Membership Drive! 5) Attend Select Atlanta REIA Meetings, Special Interest Groups and Webcasts at No Additional Charge! Also, don’t forget that Atlanta REIA Members can attend our Atlanta REIA Main, North & South Meetings at no additional charge as well as other select special interest group meetings. This special offer is for today and today only. Join Atlanta REIA Now! 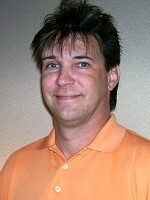 Alan McDonald was born in central New Jersey in the early 1970’s, grew up near Charleston SC, moving to Atlanta in 1995. Alan’s interest in entrepreneurship, audio production, and real estate investing began early in his teenage years. 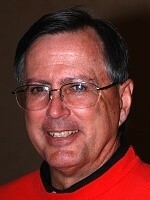 Alan is an avid reader, discovering Robert Kiyosaki’s series in 2001, and has followed Rich Dad’s teachings ever since. 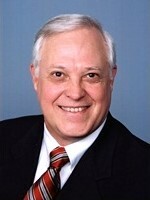 Alan became involved in Atlanta’s investor community in 2002. Some of his adventures have led him to be a property manager for Metro Management and Investments, a marketing coordinator for a local Domino’s Pizza franchise, and an event planner, performer and talent for Avalanche Entertainment. Alan is currently building a support and professional network. One of the ways he is doing that is by organizing the Atlanta REIA Cashflow Players Group and Cashflow Game Nights throughout the Atlanta metro area. Alan’s hope is to inspire others to learn about financial literacy. Alan’s driving force is to live by a statement from Zig Ziglar, “help others get what they want, and in turn, you will get what you want”. Alan is also currently serving as Atlanta REIA’s Volunteer Director of Audio Video Services and helps record and produce the Atlanta REIA’s Haves & Wants Speed Marketing Session at the Main Meeting each month. Alan is also the host of the new Atlanta REIA Beginning Investors Group (BIG) which is is an educational and networking special interest group for new investors who are just getting started in real estate investing as well as “new again” real estate investors who’ve taken a few years off and are looking to start investing again..
What’s Hot in Real Estate Investing Webcast Replay: Atlanta REIA is Hot! We are very excited to announce that local real estate investing legend Dyches Boddiford will be speaking at our next Atlanta REIA Main Monthly Meeting at the Doubletree Hotel in Roswell GA (map) on Nov 1st on the topic of “Investor Financing Techniques Using Sellers & Partners”. Many of you have asked where you get the money to fund your deals in our troubled economy and credit market place. Now is your opportunity to learn first hand from one of the best, Atlanta’s own Dyches Boddiford. We are waiving the cover charge for this event, so please come and bring your friends, families and business associations. Don’t forget, we have just started our Charter Membership Drive and, as a member, you can earn commissions for any new members you refer us. So this is a great opportunity to show them what Atlanta REIA is all about. Where Have All the Real Estate Gurus Gone at Your Local REIA Group? Do you old time REIA group members remember back when real estate gurus used to attend their local REIA group meetings on a regular basis? Where have all the local real estate gurus gone? Why don’t the real estate gurus attend their local REIA groups anymore as part of the general membership? Our Atlanta Real Estate Investor Alliance Charter Membership Drive has begun and will last for a limited time only. Now is your chance to join the hottest new real estate investor association in town as a Founding Member! Charter Members will get additional member benefits for life that other regular members who join later will not receive. Right now, Charter Members can become Atlanta REIA Ambassadors and receive up to $150 for every new member referred to Atlanta REIA during our Charter Membership Drive! Read more about Atlanta REIA Charter Individual Memberships or Business Memberships right now! 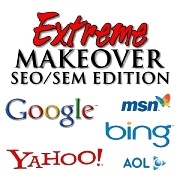 Tonight at 7PM ET is Week 3 of the 90 Day Extreme Internet Marketing Makeover Webinar Workshop, the SEO/SEM Edition. Tonight, Dustin will be covering “On-Site Search Engine Optimization and Marketing” and how to tweak your website for maximum search engine exposure and lead conversion. If you don’t have an investor website, Atlanta REIA Charter Business Member SuperSmartWebProfits.com is offering other Atlanta REIA Members 50% off of the best real estate investor websites on the planet! On the 3rd Tuesday of each month at 7PM ET, short sale expert Kimberlee Frank will spend an hour answering your questions and discussing the latest trends and profit potential in the short sale and foreclosure industry. If you’re thinking about investing in short sales or are currently investing in short sales, this is a webcast you don’t want to miss. Register Now for the Foreclosure Gone Wild Webcast! Every Thursday, Joe Thompson hosts the Haves & Wants Meeting from 1:30 to 3:00 PM at 5 Seasons Brewing located at the Prado in Sandy Springs, GA. This is a meeting for serious real estate investors and players looking to buy, sell or swap real deals and not just sit around and talk about it. The Atlanta REIA South Monthly Meeting, hosted by Marc Fordham, is held on the 2nd Thursday of each month at 6:30 PM at Ryan’s Restaurant located at 5425 North Henry Blvd in Stockbridge, Georgia. There is currently a $5.00 cover charge to attend this event. 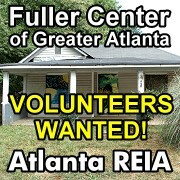 If you haven’t yet come out and joined Atlanta REIA and the Fuller Center of Atlanta on Project Lakewood yet, now is the perfect opportunity for you to get involved and help us build, renovate and repair more homes for needy Atlanta families than ever before. We need your help, so please come to 10 Gould St and lend us a hand. RSVP on Facebook Now! 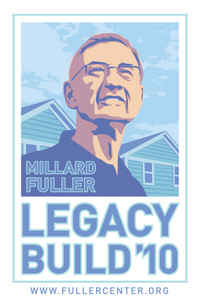 The Fuller Center of Atlanta Legacy Build 2010 Was a Huge Success Thanks to Your Help! (Atlanta, GA) On September 11th, 2010, we not only commemorated our losses from the September 11th terrorist attacks on America, but we also celebrated the Fuller Center 2010 Legacy Build and dedicated 100 houses that were recently built or renovated by volunteers nationwide, 6 of which were in Atlanta. We’ve been working every other weekend all summer to finish up these homes and look forward to starting on more homes next weekend. Yesterday was a wonderful celebration of what volunteers, local citizens, neighbors, friends, families, church groups, non-profits and businesses can accomplish by working together to achieve the common goal of eradicating poverty and substandard housing right here at home for all Americans one home at a time. It was a very rewarding experience to all those who participated in Project Lakewood on site and off. The ultimate reward was an experience and sense of satisfaction of a job well done that no amount of money can buy. We thank everyone who participated from the bottom of our hearts. Your contribution made a difference and forever changed the lives of others. Does Your Business Need a 90 Day Extreme Internet Marketing Makeover? Can my website easily be found online when my prospects type in and search for my company name on Google, Bing, Yahoo and other major search engines? Can my website be found on the first page of major search engines when my prospects type in and search for keywords that relate to my business? Am I getting enough qualified leads from my website and online marketing? Am I doing as much business as I would like to be doing as a result of my online presence? Am I doing enough social networking (Facebook, Twitter, etc), blogging, posting videos, etc to meet, greet and do business with today’s modern consumer who tends to do more business online than ever before? Am I doing all I could be doing to compete with other similar, local businesses for leads online? If you answered “no” to most of these questions, chances are that you could use an Extreme 90 Day Internet Marketing Makeover to jump start your business for 2011 and beyond. To do so, you need to start now! Yesterday evening, many folks turned out for our Atlanta REIA Meeting despite the holiday, to celebrate would could be their Last Labor Day and I want to personally thank everyone who attended. We really appreciate your support for our new Atlanta real estate investor group. Several investors I spoke to at the meeting had done quite well in the Atlanta real estate investing market a few years ago, but got burned on a few deals gone bad when the housing market crashed more recently. As a result, they took some time off from real estate investing to recover, regroup and had to get a job to pay the bills. They came out last night to get re-focused and re-energized so they can accomplish great things buying, selling and/or holding real estate once more since housing prices are at an all time low. I commend you all for doing what it takes to get re-engaged and not take a few bad blows as permanent defeat. Just know that Atlanta REIA is here to help you in your future endeavors.